Handbrake is a good helper to assist people in ripping DVD discs and converting videos. It is open source, clean and easy to use. It can convert video from and into a wide range of video formats, while giving you all the features, tweak and options you need to make sure it plays smoothly on whatever device or screen you plan to send it to. The best thing about Handbrake is that it is freely available for download. However, it still has some limitations on video conversion. It can't rip copy-protected DVD or Blu-ray sources. It only supports to output limited video, audio formats. File output quality is compromised. The original video quality can't be 100% preserved. It can only let you add files one by one. You can't use it to batch convert videos. It will have the error of "no titles found" or select wrong title. It is hard to create Handbrake preset for devices. Besides the aforementioned, Handbrake has other flaws. If you have encounter the same problem listed above when using Handbrake to transcode video, it is essential to find a professional Handbrake alternative for Windows 10/8.1/8/7/XP/Vista. Rip commercial Blu-ray/DVD with copy & region code protection. 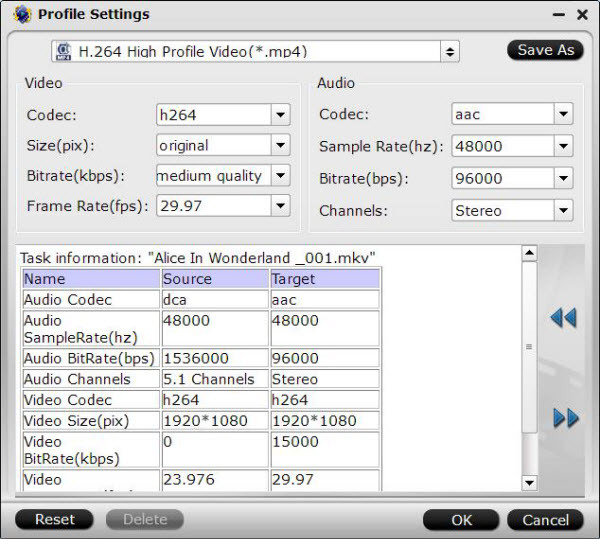 Convert all SD/HD/2K/4K video like H.265, AVI, WMV, MP4, MPEG, MTS, etc. to your desired formats, devices and programs optimized file formats. Output videos for all popular devices: optimized file for all your desired devices including iPhone 7, Samsung Galaxy Note 7, Xbox One S, PS4, etc. Convert 2D/3D resources to 3D movies in 3D MKV, 3D MP4, 3D MOV, 3D WMV and 3D AVI format to watch on 3D devices for grand visual experience. 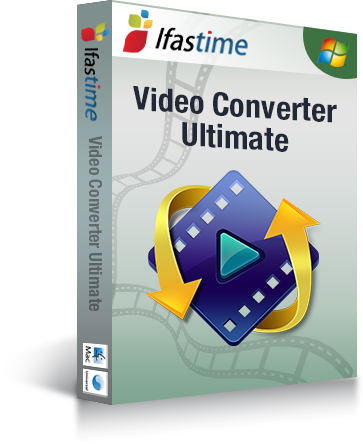 How to Convert with iFastime Video Converter Ultimate? The batch converting function lets you import more than one video. And also it has no max file size limitation. In the output format pane, there are many formats to choose from. If you want to convert files to iPhone or iPad for playback, just choose Device, and then select your desired device as target format. You can set the other choices by clicking "Settings" to enter the Profile Settings window if necessary. You can choose the proper bitrate, frame rate and sample rate here at all your needs to match your devices. This is the last step. Please just click the convert button to proceed. Also it supports merge conversion. 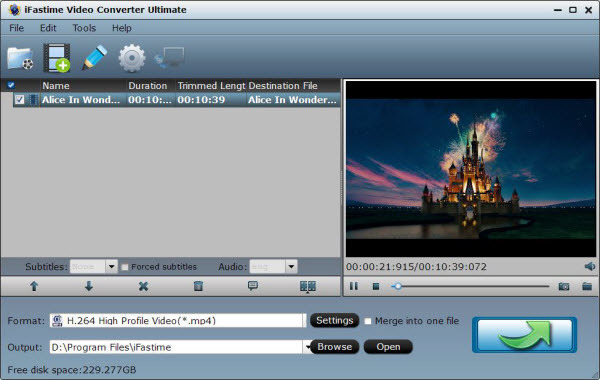 You can convert several video clips into one by selecting the "Merge into one file" option. 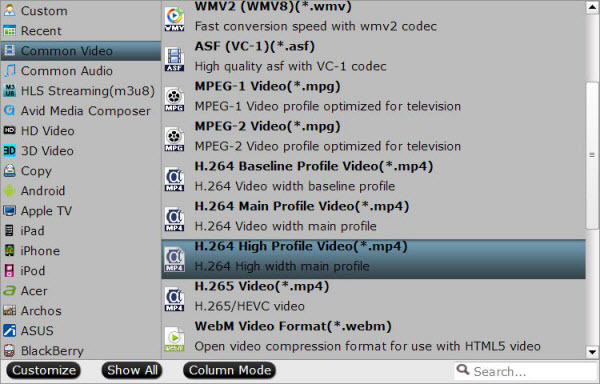 Video conversion might be tricky if you use a converter is not reliable enough. Thought Handbrake can help us convert videos on Windows 10/8.1/8/7/XP/Vista without a hitch, it seems that iFastime Video Converter Ultimate is the better than it in that it supplies as many as possible input and output profiles to meet various demands on conversion and it is 100% clean and safe without messing up your computer during converting. If you're using a Mac and want to convert videos on Mac OS X El Capitan, please turn to iFastime Video Converter Ultimate for Mac.